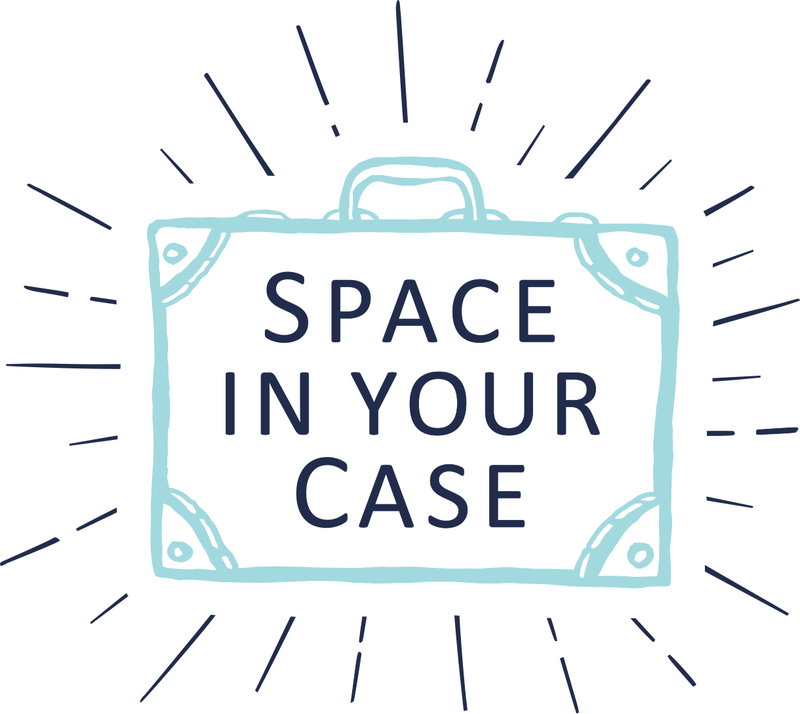 Now it’s the turn of Space In Your Case contributor Katie, who also writes the family lifestyle blog Mummy Daddy Me. When we go away, the main thing I want to do is record our adventures and memories so like Penny I am also a bit of a gadget geek. Yet I also like to embrace a bit of luxury and keep a bit of style, even though I am now a Mum and a week’s stay ends up looking like we are going away for two months! I love to document our adventures using a mixture of our GoPro, my DSLR and my iPhone. People think that iPhones aren’t the best cameras but in actual fact some of my favourite photos I have taken with my phone. I use a Lifeproof case when we are on our holiday, it keeps it safe from sand, suncream and water, and it also means that we can have fun underwater with shots like the one below! When going away somewhere hot, the humidity does so much damage to my already thick hair. I like to be able to leave it to dry naturally as much as possible. I have been using this KMS Sea Salt Spray (5) for years, it’s great to just spray on to give you that just stepped off the beach look- it’s perfect for loose waves. I love that healthy glow you get from being in the sun, therefore when I am on holiday I rarely wear any makeup. But I will put Benefit Hoola Bronzer (1) on my cheekbones, I have been using this since I was 16 (a very long time!) and won’t try another bronzer as I love this one too much. I am also obsessed with a splash of red on my lips, this orangey red tone Morange from MAC (3) looks great with a bit of a tan. For my little ladies, I wouldn’t go anywhere warm without our Konfidence UV Swimwear (4). We wore these on our holidays this Summer and couldn’t be without them now- they are perfect for keeping the sun off them when they are in and out the pool and they were a godsend to us as they dry quickly and wash well. I am so paranoid about their perfect skin that I highly recommend these to anyone with a little person in their lives. We have the T Shirts and Shorts sets. When I used to go on holiday before children I used to take about ten books. (no joke!) Nowadays I can’t read that many as I have small people to watch like a hawk around tiled floors, swimming pools and sand, but I will still take two or three with me in my case. I don’t think I will ever like the idea of Kindle, I prefer to actually read a proper book although they take up more space, and I love nothing more than to sit on the balcony with a glass of wine once my girls are in bed and get lost in my latest novel. My current book is Fangirl (2) by Rainbow Rowell. It’s actually a Young Adult fiction title, but I am really enjoying it. I prefer to read something on holiday that is easy and not too taxing on my already fried brain! Finally I wouldn’t be without an issue of one of my favourite magazines- I rarely get time to read them anymore unless I am on a train, plane or on holiday. My favourites are Conde Nast Traveler (6), Grazia and The Sunday Times travel magazine. I love to read about places I will never be able to afford to go to while I am on holiday as it makes me feel less glum!